After the Dominator and the Ghost Pro laptop reviews, now it’s time for the MSI GS70 Stealth Pro Review. This laptop has some amazing specs and is has few features which can tempt you into getting this laptop home. But, is the feature/price balance too good to be true? Let’s look into the specifications followed by the detailed review in order to reach a conclusion. 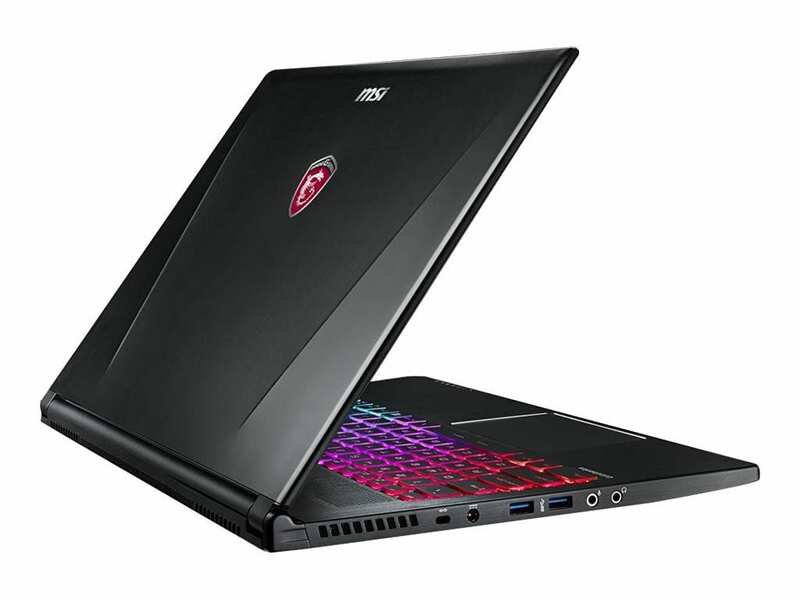 The laptop has an aluminum brush finished look and the MSI dragon logo sits on the cover of the laptop.This is a typical design seen in gaming laptops by MSI and I think that they could use some changes in design just to keep things a little refreshing. The keyboard and the touch has a soft matte black finish which does give a premium look. The laptop has a standard FHD display with the anti-glare feature added to it.The display seems really gorgeous when you are watching a movie or videos since it has got a really nice balance of colors. It isn’t the basic dull matte but does include a pop of color which is quite amazing for a gaming laptop. The laptop weighs around 7 pounds which makes it light and the laptop can tag along with you for work or it can easily be used for gaming on the go. I think when you see a “light” gaming laptop, you want to consider looking further into its specs as that feature is very rare to see in high-quality gaming laptops these days. 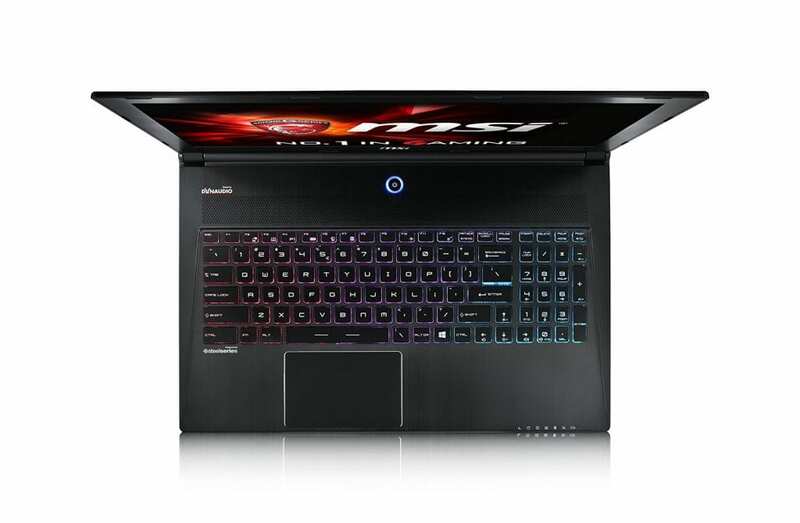 The keyboard is like any other MSI laptop, though it reminds me more of the Dominator Pro because of the three phase backlighting in the keys. It includes the typical number pad and directional keys for better gaming. Although both the features, the keyboard and the touchpad are very average and there is nothing great about it, neither do I have complaints. It is like any other keyboard and touch, tough it doesn’t match up to the touchpads of the Alienware and is very far in sensitivity from them. It is almost the same for most of the MSI laptops in the range maybe because it is powered by STEELSERIES GAMING KEYBOARD.The overall keyboard and trackpad quality is ‘okay’ and nothing typically that great. The audio is powered by NAHIMIC VIRTUAL SURROUND SOUND which is something again the same in most of the MSI laptops, however, the audio software does allow a lot of customization and I must say as an audiophile, their audio is pretty good. They don’t get as loud as the Alienware although they are loud, and all I like my audio to be is loud and crisp. This laptop does a good job when it comes to audio quality and if you are an audiophile you might agree with me as well. The webcam is pedestrian and can be used to record videos in HD quality, so that is about it and I’m not going to stress much on this feature. The laptop is powered by the NVIDIA Geforce GTX970M which is good, although not great.You ca play all games on medium settings though only a few selected titles in the high settings.The graphics hungry games are not that easily playable in the high settings and there is no question for ultra settings. There were games like The Witcher 3 and Batman: Arkham Knight which struggled to work on the high settings although they worked pretty fine on the medium settings.The gaming on this laptop is pretty average look at the price/feature balance.You can easily look at the other reviews of laptops over $1000 and you may find something with much better specs and overall performance. The performance of the laptop is extremely good and that helps in multi-tasking and even faster file transfers.This laptop has plenty of storage and which includes the 128 GB SSD and the 1 TB HDD. The battery life is below average and that is an issue the manufacturer should address. It lasts for about 3 hours while normal surfing and when on maximum load it just lasts for an hour.Even though the laptop is comparatively light, you would barely get any time for gaming on the go which makes the one good feature it had obsolete. Many consumers who have used the laptop felt that the laptop does heat up and it reaches a temperature which might cause discomfort while prolonged hours of gaming.The laptop heats up in the literal sense and for all, I can say is that it sure needs to be fixed else you need to always keep it on your desk to use it. The ports in this laptop include two USB 3.0 ports, an HDMI port, dual mini Display Ports, a Gigabit Ethernet port and three jacks for S-PDIF, headphones and mic, two USB 3.0 ports, a 3-in-1 card reader and a secure lock slot. 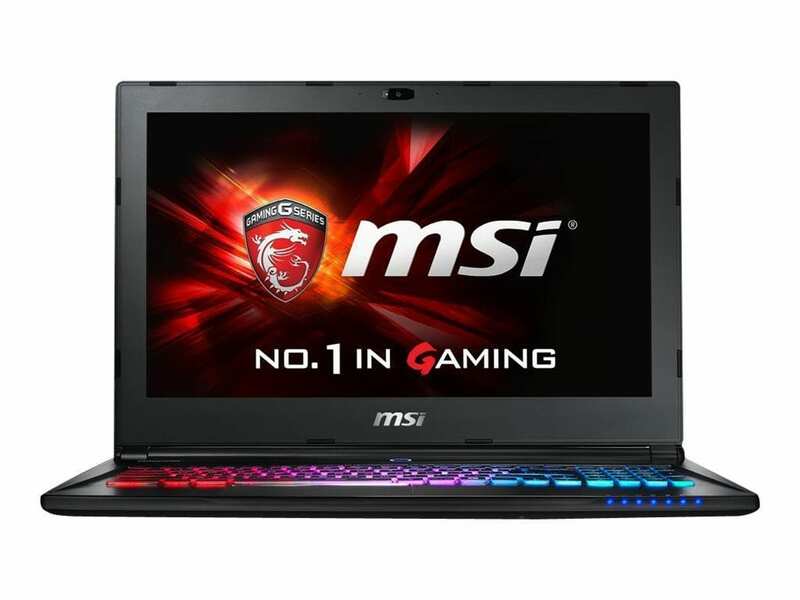 I think this laptop is good but it could have been great.No doubt, it has a great display, a nice sleek design, comfortable keyboard and a good enough audio with a 2MP webcam.The gaming on this laptop is pretty good for a GTX 970M which I think is a gaming GPU which most of the gaming laptops aim for. But when you look at its downsides which include a sad battery life and the overheating issues which have been resolved in many other laptops in the same price range, you might want to reconsider buying the laptop.